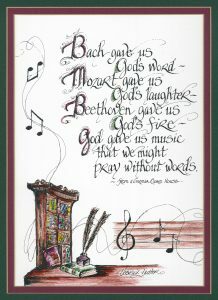 Music plays an important role in worship and the life of St. Stephen’s, from the congregational hymns that allow us to express a common faith, to the musical offerings of choirs, handbell ensembles, soloists, and guitar-driven bands. St. Stephen’s is blessed with an active and vibrant musical community, and offers many opportunities to become involved in music across a wide varieties of musical styles and skill levels. Explore the many ways that you can grow in your faith and service while using the musical gifts and talents God has given you! Whether you enjoy the fellowship and regularity of a weekly rehearsal commitment or the flexibility of a drop-in group, there is a place for you to make music at St. Stephen’s.